Is your water too hard? Does washing your hands feel bad on your skin? Does the dishwasher leave spots on your dishes and silverware? Water softeners can greatly improve the quality of your water in many ways, by removing excess minerals and impurities that make water too hard for everyday use. We will perform a FREE Water test at your home, and design a water softener system that will help soften your water, and improve all aspects of water usage in your home from laundry to bathing, to washing the dishes. 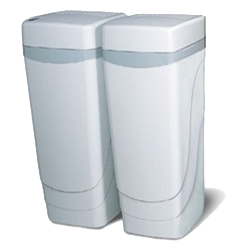 Our Hague Watermax Water Softeners are the best systems available to improve the quality of your water.